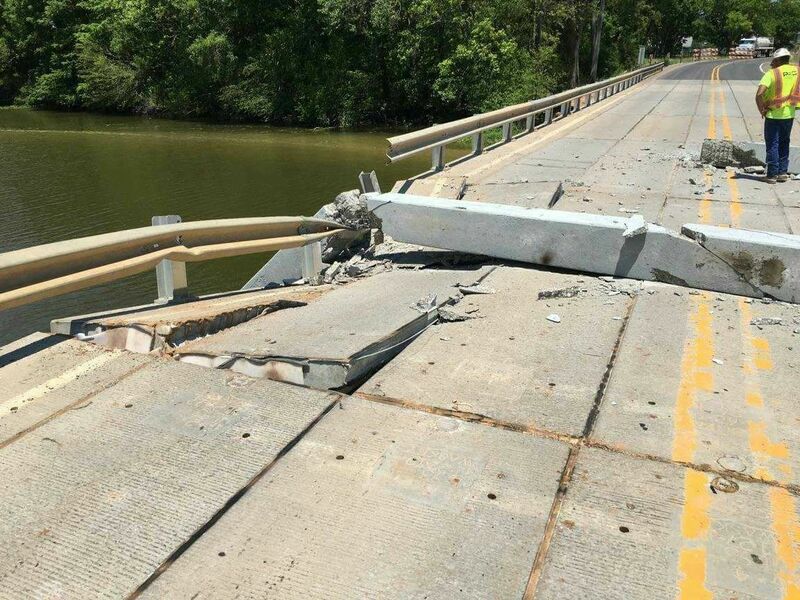 The Louisiana Department of Transportation & Development (DOTD) advises motorists that the temporary bridge in place for the construction of the new Red Chute bridge on LA 612 (Sligo Road) in south Bossier Parish has been shut down. During construction, concrete pilings that were being moved fell following a gust of wind. This resulted in damage to a portion of the temporary bridge, which is now completely closed to traffic. Crews are on site gathering further information about the incident and assessing damage to the temporary bridge. Alternate Route: Traffic is being re-routed onto Caplis-Sligo Road. Louisiana can’t even build a bridge or fix the roads.